Why don't more women cycle in London? With the Women's Institute in Cambridge this week publishing a superb essay about the London Cycle Map Campaign, written by the wonderful Rebecca Watts, it seems like an appropriate time to consider the vexed question of why more women don't cycle in the capital. The cycling community in London is disproportionately made up of males in the 25-44 age bracket. Why is that? Perhaps these men are at their peak, so they’re busy and they’re confident – and cycling is fast, fulfils a desire for autonomy, and offers a fitness and energy boost without the cost and time commitment involved in working out in a gym. These explanations, though, should apply not just to men at their peak, but women too. Maybe, rather than these positive incentives, there are some disincentives which explain why fewer women than men cycle in London. One major deterrent could be the fact that female cyclists make up a higher proportion of deaths involving lorries than male cyclists. Main roads containing lots of big vehicles can always be avoided on a bicycle – that’s my personal policy, anyway. Sadly, it’s harder to avoid the media furore about cyclists and lorries. Perhaps women are especially put off by it. Perhaps women are also particularly put-off by the thought of getting lost on a bike, thereby ending up in heavy traffic or, worse, in an unfamiliar and isolated place, such as a dark industrial estate. London’s existing cycle routes have a habit of petering out in unexpected places. An obvious solution to the problem of getting lost is to carry a detailed map, such as an A to Z. But perhaps this solution is not always as helpful to women as it is to men. As any stand-up comic (or cognitive psychologist) will tell you, there are differences in spatial reasoning between the sexes, and, although there are countless exceptions, men tend to find navigating easier. Most people would also admit that women - again, generally speaking - spend longer getting ready to go out than men do. So maybe the extra hassle of planning a route, carrying spare clothes, changing clothes, etc, has a deterrent effect. A London Cycle Map would counteract all of these possible deterrents, therefore possibily making cycling a more attractive option for women. The routes of the London Cycle Network which Simon Parker’s London Cycle Map rationalizes are generally on quieter, safer streets, with less of the heavy traffic characteristic of the capital’s major roads and junctions. With signs and trails of colour on the roads, those routes would be as easy to follow as the lines on the Tube – so getting lost on a bike would become a rarity. Also, since the London Cycle Map is based on the design of the Tube map – a famously simple and brilliant nagivational aid – navigating by bike would be as easy as it is on the Tube. And by removing the need for advance route-planning or having to remember hundreds of turn-rights and turn-lefts en route – users of the London Cycle Map could get from anywhere to anywhere in the capital by following just a few, straight coloured routes – cycling would become more convenient, spontaneous and fast. By removing all these barriers to cycling, maybe the London Cycle Map would encourage more women to give it a go. Read more about Why don't more women cycle in London? Today’s ride feels a bit different to my usual commute. The visibility isn’t the best as it’s a little misty, the air a little fresher and a little more crisp. The cars are fewer and I haven’t heard a single horn so far. And my quiet cycle ride has been interrupted by an erratic white silhouette on the road ahead. It’s weaving across the road dangerously, obviously in a hurry. It stops without signaling and then speeds off making a strange noise. It doesn’t phase me. I don’t even tut. The truth is you get used to the sheep being on the roads in the Yorkshire Dales. Yep, The White Van Driver is a million miles away from where I am right now. Sorry, lets get back to it. That was close, I could feel a poem coming on then. A few weeks earlier someone had whispered in my ear that cycling isn’t necessarily just a cheap, healthy way to get from A to B. 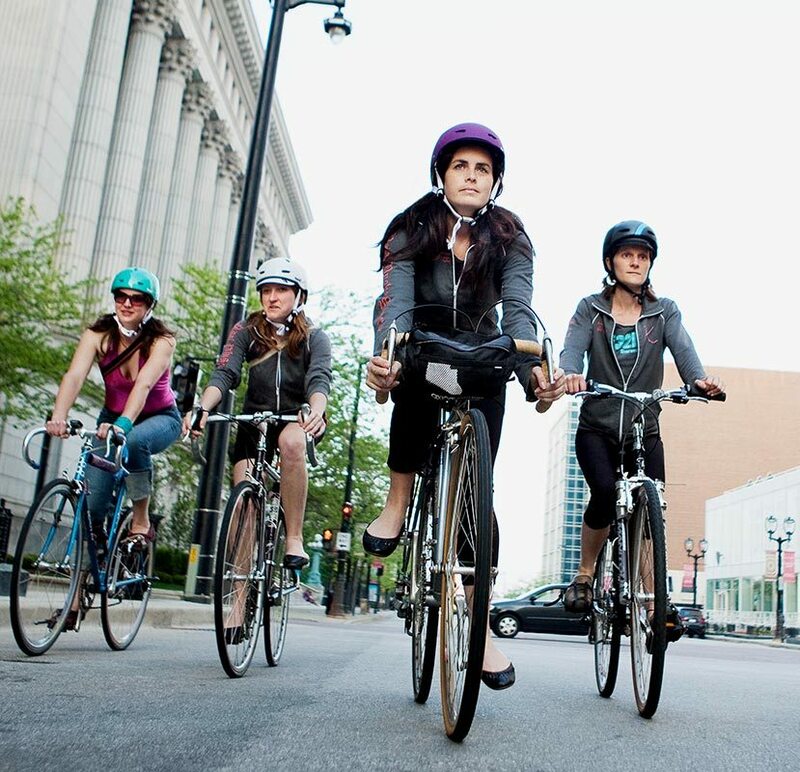 Apparently there are all sorts of people who are taking to their bikes and doing it for ….fun? To test this theory out, four of us decided to get away from London for a long weekend “oop north”. We chose the Dales because it has a wonderful reputation for cycling, due to its winding, sloping roads that scribble their way around some of the most ancient, untouched, beautiful British scenery. As I sit on top of the world and my breath frosts in the air, I can see the hype is all true. The hills of the Dales aren’t the leg-breaking inclines I was expecting. They’re a challenge, sure, but the female contingent of our group – who were more or less cycling novices – coped fine with the undulating roads. And the scenery is lovely enough to use as a constant excuse to stop for a picture if you need a break. One day without my camera I had to change tack and say I needed to stop to “contemplate nature’s wonder”. All this means that the summits are well-earned and the roll down the other side fixes a childish smile on your face for at least twenty minutes afterwards. We got our bikes from The Dales Bike Centre, a family business run by Stuart and Brenda Price. Originally from South Sheilds, Stuart came here for a week’s mountain biking and never left. I can see why. He and his wife run workshops, rent bikes, sell equipment and manage a lovely little tea shop onsite where you can get some delicious cakes to replace the calories you have burned off during the morning’s ride. On picking up our hybrid bikes we got a great explanation on how they worked and what the basics were. Everyone was extremely friendly and they clearly care about all their customers, from complete beginners to experienced campaigners. I am someone who on average makes and receives about 3 calls a week on my mobile phone, so the fact that this part of the Dales struggles to get a decent signal never really crossed my mind. But it had occurred to Cycle Lifestyle’s ever-vigilant editor, Ben. “What should we do if we need assistance, for whatever reason?” he asked. His blackberry was poised to take down the proposed safety protocol – perhaps we’d need to call the “national emergency Cycle Call centre” or wait 15 minutes for the “Dales Cyclist Pick Up vehicle” timetabled patrols? The answer we got was “knock on someone’s door”. I don’t think four people could have possibly have felt more like city folk if they’d turned up to the bike centre in suits, carrying briefcases. That, I felt, was perhaps the most poignant moment of the holiday. What are we, if, when we are in trouble, the least conceivable answer is to simply ask another human being? It’s this simple, unfussy, friendly philosophy that we experienced throughout our stay. For this reason, I urge you to do as we did. Cycle around the Dales, see Britain, dodge the sheep, pop into a pub for lunch, visit the tea shops, pick your eggs up from the farmers’ honesty boxes, chat with your neighbour about the coal for your open fire and let the stress melt away with every rotation of the pedals. At Cycle Lifestyle we like to take a positive approach to cycling. But sometimes a positive approach means making a constructive effort to solve little problems (as opposed to getting obsessed with big insoluble problems: “control what you can control and don’t worry about what you can’t” is a key lesson for living well and being happy). So can anything be done about the late night bike ride insomnia problem? I’m talking about those late evening rides home – after about 9pm – which leave you so buzzing you can’t sleep afterwards for a few hours. Perhaps you’ve been out socialising, or to the cinema, or are heading back from a friend’s house, or have been working late. A late ride home in London can be so joyful – the traffic is lighter and so, too, it seems is the air. You cut easily through the dark on a bike. And the city lights look beautiful, filling you with optimism and a sense of being part of something. But then, when your head hits the pillow, there’s a faint ringing in your ears. Your thoughts are like a hurricane. 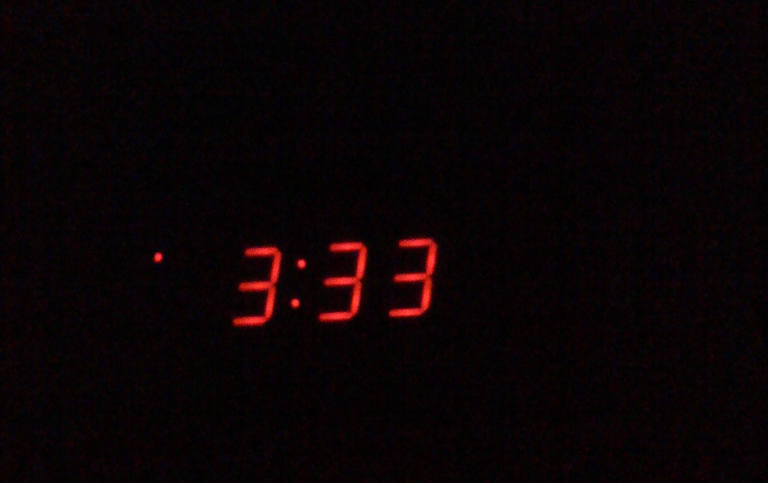 Your tiredness is balanced with alertness – the yin and yang of sleeplessness. Insomnia is very frustrating. I’ve never really come up with a watertight method for avoiding or dealing with it after a late night ride. But there are a few things which I think help. Have a snack when you get home – a slice of bread or more, some pasta, a bowl of cereal, a few biscuits, even a teaspoon of sugar. Relax downstairs with a hot chocolate for an hour before you go to bed. Know the signs when you're in bed: as soon you sense that you are too buzzing to sleep, don’t lie there frustratedly for hours. Get up, get the kettle on, get some food, stick the TV on, or read a book. Also, get warm when you get home. Have a hot shower. Get an extra blanket, or snuggle under one on the sofa. Wear a jumper over your pyjamas, and put some socks on. If you’ve got lots of ideas flying manically round your head after your ride – cycling tends to have that effect all the time, not just at night – then write them down. Get them out of your head, or they’ll reverberate in there for hours. Another option is to buy an electric bike and use the motor for the journey home. For me, it seems to be late night rides of longer than about 5 miles which cause insomnia. An electric bike turns a longer ride into a much shorter one. Well, those are my suggestions for avoiding or dealing with late night bike ride insomnia. I’d love to hear yours. Following all the recent media scaremongering about cycling in London, and all the anger flying back and forth between drivers and cyclists, it's good to have a reminder that, on the whole, cycling is pleasant! Sam Motherwell, the artist who created the cover for Cycle Lifestyle issue 6 and whose star is rapidly rising, has sent me these lovely soundtracked animations based on collages of his drawings and paintings. Much of Sam's work depicts Cambridge, often with a cyclist in view (as the case tends to be with Cambridge, Britain's most popular city for cycling). I'm no art critic, but there's something about these animations, and Sam's work in general, which gives me a feeling of calm inspiration, one that I wish I could have all the time. I suppose the gentler, friendlier but still bustling side of life that Sam's work portrays, or perhaps I should say embodies, is simply more uplifting than the usual bombastic egocentricity that passes for entertainment in the modern world. You can find out more about Sam's work here. And you can find out how pleasant cycling is by planning a quiet route and getting out there on a bike. Growing up in London in the eighties and nineties I witnessed a proliferation of blocked-off roads in residential areas. Bollards, barriers and kerbs were all installed to stop cars from rat-running through peaceful streets. Invariably, gaps were provided for bicycles to get through. Sometimes little cycle lanes were painted on the roads to emphasize that bikes were welcome. In many cases, long stretches of quiet streets were specially provisioned for cycling, as part of a wider ‘London Cycle Network’ that was developed over several decades. The effect of all this traffic engineering – the desired and desirable effect, indeed – was to shift motor traffic onto the main roads. Those roads became busier, but it was a price worth paying for the backstreets to become more civilised. It is ironic, then, to say the least, that most cycle campaigners are now calling for ‘space for cycling’ on the very same busy main roads that were previously created by cycle-friendly traffic-engineering. Based on an ideology of reclaiming the streets and exercising a right to use the ‘fastest’ roads (which aren’t, in fact, the fastest for bicycles) the most hardened cyclists insist on, and encourage, cycling on main roads. For 100 Reasons, I think this is a perverse, harmful, indulgent, ignorant, unrealistic and irresponsible approach. After going to all that effort to shift cars onto the biggest roads - the roads most suitable for cars - why on earth would anyone insist on cycling on those roads and complaining about it? It is like complaining that a rubbish dump isn’t a suitable place for human habitation: the whole point of rubbish dumps is to make other spaces more suitable for human habitation. The most sympathetic thing that can be said about people cycling on extremely busy main roads in London it that is hard to navigate on the backstreets. A Tube-style London Cycle Map together with corresponding signage and road-markings would solve that problem. But that would be far, far too sensible an idea for our radicalised modern times. Following the recent spate of cycle deaths in the capital, some cycle campaigners have seized upon the tragedies by reiterating calls for the authorities in London to install segregated cycle lanes on all major motor transport arteries throughout the city. The Dutch city of Amsterdam is heralded as the inspiration behind this plan. But the cycling infrastructure in Amsterdam is nothing like the measures being proposed in London! There are plenty of main roads in Amsterdam that don’t have cycle lanes . There are plenty of tram lines in Amsterdam that don’t have cycle lanes alongside them. Trams are, in effect, trains that run on roads. Cyclists must, naturally, be careful around the trams. In Amsterdam the cycle routes have loads of signage. This makes it much easier for cyclists to follow those routes. Campaigners in London have completely ignored the need for better signage. In Amsterdam, the authorities have built a cycle network. They have ensured that all the cycle routes in the city connect up properly, whether on main roads or not. The network gives cyclists confidence that the cycle lane they are using will not suddenly disappear. Most campaigners in London have completely ignored the need for a network of cycle routes. There is a single cycle map in Amsterdam. Called Amsterdam op de fiets (‘Amsterdam on the bike’) the map is available at the Amsterdam Tourist Office. It shows suggested bike routes, areas closed to cyclists, bike repair shops, tram lines and even museums and popular attractions. It covers all of Amsterdam, from the northern islands to the southern suburbs. 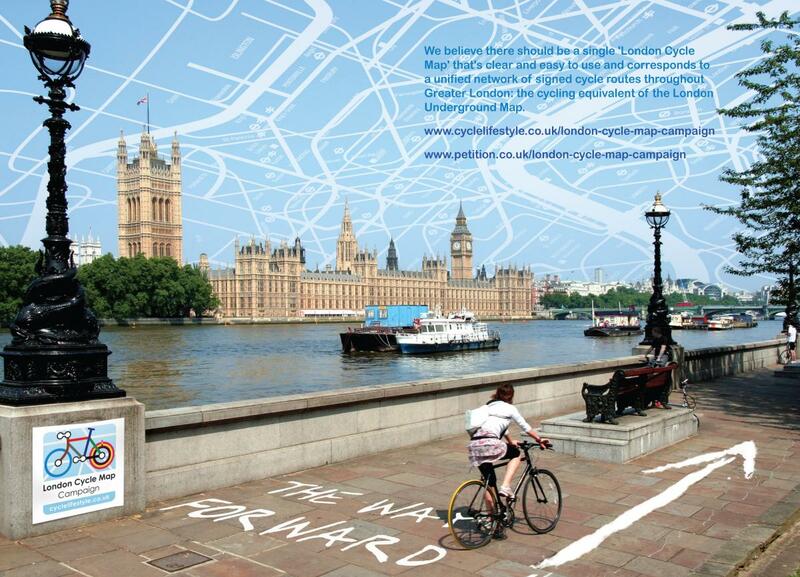 Campaigners in London have completely ignored the need for a single ‘London Cycle Map’. At the moment there are twelve separate cycle maps for the capital, supplied by TfL. There are around 400 kilometres of cycle lanes in Amsterdam. This may sound high, but London already has over 2000 kilometres of cycle lanes. London is about 7 times bigger in size than Amsterdam, so proportionately we’re not that far behind in terms of cycle lanes. Our capital also has a huge amount of green space, and most of this space is great for cycling. So more cycle lanes, while always nice, is not necessarily what London needs. So what do we need? We need cycle campaigners in London to abandon their ideological (anti-capitalist) obsession with embedding cycling infrastructure onto main roads. Some roads are not suitable for cycling infrastructure, or indeed for cycling full stop. 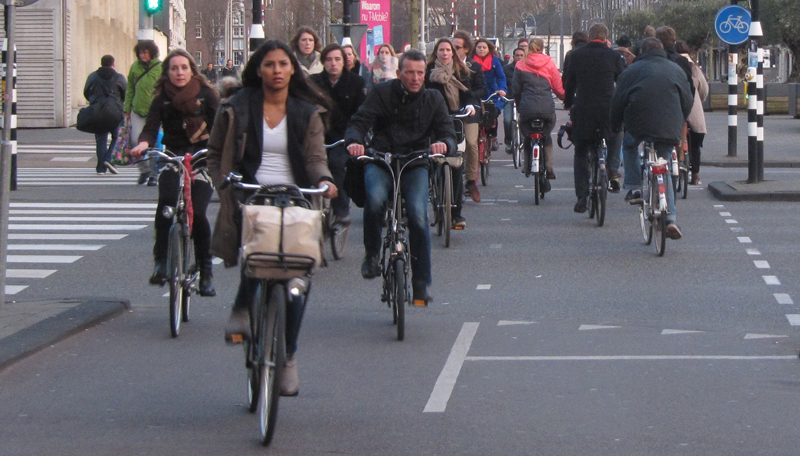 The Dutch know this – their cycle policies have been based on pragmatism. We need to learn the REAL lessons from the Dutch. We need to create a network of signed cycle routes and a single London Cycle Map showing how these routes connect together. We’ve already got the raw material. A serviceable London Cycle Network, including parks and quiet but direct streets, has been created over the last thirty years or so. The main things the network lacks are signs and a decent map. We need to stop wasting our time and shooting ourselves in the foot with sensationalist bad ideas based on half-truths at best. Sadly the problem goes deeper, because the mainstream media in Britain doesn’t generally report sensible ideas. Sensationalism sells more papers and attracts more listeners and more clicks. Unless YOU help us promote the London Cycle Map Campaign, cycling in London will remain in the hands of a minority with an agenda that claims to represent but actually lets down the majority. Just like the communists whose ideology these cycle campaigners, let's face it, probably share deep down, they promise much, deliver little, and benefit a lot. LCC membership anyone? It’s only £36. In the video below, Janette Sadik-Kahn describes how New York has been transformed by the simple use of paint. By applying coloured paint to the tarmac, 50 new pedestrian plazas have been created in the city, instantly transforming those spaces for the better. This ‘quick-acting approach’, as Sadik-Kahn calls it, has also been used to create cycle lanes, boosting the levels of cycling in New York. As Sadik-Kahn notes, “I can’t underscore enough how much more quickly this enables you to move over traditional construction methods”. Sadly, I can’t underscore enough how dissimilar this enlightened approach is to Britain’s plodding, bureaucratic, legalistic form of transport planning. Although there is a glaring exception to that statement. Boris Johnson gamely daubed some of London’s major motor transport arteries with trails of blue paint, to try to encourage cyclists to use those main roads, and to encourage drivers to respect those cyclists. Alas, the Cycle Superhighways haven’t been a success. Massive main roads, understandably, are still too terrifying for cycling on in the eyes of most Londoners, blue paint or no blue paint. The London Cycling Campaign is calling, instead, for traditional construction methods to supplement the blue paint on those roads, and also for those methods to be applied to the rest of London’s main roads. Fully segregated, highly-engineered cycling facilities are needed, so they say, to keep cyclists safe on main roads. I think both sides are wrong. Paint, yes. Main roads, no (well, not as a rule: this would require billions of pounds of expensive cycle engineering, which is unrealistic and not necessarily desirable anyway). Let’s put trails of coloured paint on the routes of the London Cycle Network. The streets making up this network have already been developed for cycling over the last 30 or so years and are generally safer and quieter than main roads. Let’s create a single London Cycle Map displaying all these coloured cycle routes, so that cyclists can get from anywhere to anywhere in the capital as easily and safely as they can when catching the Tube. You can have fun with paint. In yesterday's blog I mentioned that Rebecca Watts, Cycle Lifestyle's assistant editor, managed to get through on the phone to the BBC London radio breakfast show (you can hear her speak here, at 02:51.50, and if you run it to 02:54.00 you can hear the presenter, Penny Smith, say she agrees with what Rebecca said). Rebecca spoke about how the experience of cycling on backstreet routes in London is similar to cycling in Cambridge, where there are proportionately more cycle journeys each day than in any other place in Britain, and where cycling is generally recognised as a casual, pleasant and fun daily activity for commuters, students, kids and pensioners alike. Rebecca's point is such an important one, I want to elaborate on it. We need to draw all the lessons we can from cycling success stories like Cambridge. Given that people evidently love cycling on Cambridge's roads, and given that there are roads in London that are just like Cambridge's, then it makes sense - does it not? 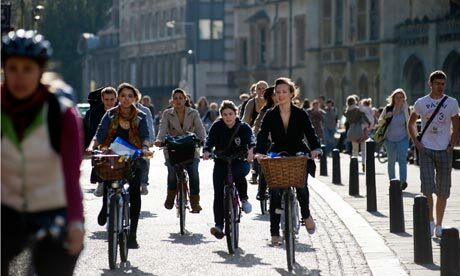 - to help and encourage Londoners to cycle on these Cambridge-like roads. These roads, just like Cambridge's, have fewer buses, trucks and coaches, the large vehicles that pose the biggest threats to cyclists. And these roads, just like Cambridge's, mostly have single lanes rather than dual carriageways. This makes it easier to turn off, and makes cycling a generally less stressful experience. At this point, I can hear dismal, capital-C, hard-core London Cyclists (and Boris Johnson) saying "I don't want to cycle on meandering backstreet routes; I want segregated cycle lanes on the main roads in London because those routes are faster; why should I be shunted onto quieter streets?". Because it is about as realistic to demand segregated cycling facilities on all of London's main roads as it is to demand cycle lanes on all of Britain's motorways. Because, anyway, the backstreets are just as fast as the main roads in London. Fewer traffic lights, traffic jams, and lemming pedestrians make it quick and easy to glide along. Because putting segregated cycle lanes on main roads would slow those roads down even more for cyclists. The cycle lanes would make it difficult for cyclists to overtake, thus slowing the fastest speed-demon down to the speed of the slowest granny. Because residents of Cambridge aren't agitating for the council to build massive roads with cycle lanes alongside. The residents know that the size of the roads in Cambridge makes these roads perfect for cycling on already. Because the backstreets in London can be much more direct than the main roads. You can cut through, cut corners, go across parks, use footbridges, slip through alleyways, and so on. Because many of the backstreets in London have already been provisioned, over the last 30 years or so, with cycle lanes and other cycling infrastructure improvements; this 'London Cycle Network' comprises 2000+ kilometres of quieter, safer routes. The problem is, it is hard for people to know where the London Cycle Network's routes are, or where they go. They are appallingly signed, and there is no single map showing how the entire network hangs together. In general, Londoners are unfamiliar with the backstreets, because backstreets are hidden away; so people find it too hard to navigate on these safer, quieter streets, and don't cycle. This is in contrast to Cambridge where there are no massive roads hiding the good cycling roads from view. Cambridge is more or less entirely made up of good cycling roads, roads which are comparable in size to the backstreets of London. Cycle Lifestyle's London Cycle Map Campaign is calling for a Tube-style map and corresponding signage for the London Cycle Network, to enable cyclists to get from anywhere to anywhere in the capital, safely and simply, by following trails of road signs and road markings on quieter streets. Simon Parker's wonderful London Cycle Map shows how the network could be organised as a series of long, straight parallel coloured routes, creating a direct connection between more or less any two areas in the capital. A London Cycle Map would create a web of London streets that are just like Cambridge's. It would be like creating a Cambridge - albeit a bigger one, 2000+ kilometre's worth of Cambridge - within a metropolis. If the authorities are serious about making cycling in London mainstream, they need to help regular people to access streets in the capital which, just like Cambridge's, are perfect for cycling on. The venerable BBC is a public service organisation, so it is understandable that its broadcasting output will seek to reflect the current huge public interest in cycling following the recent spate of cyclist deaths in the capital (this is true even though the overall number of deaths is low by typical annual standards, and even though the spate is not in itself necessarily statistically significant: randomness never takes the form of an evenly-spaced pattern, because such a pattern is precisely the opposite of random). For the same public service reasons, it is also understandable that the BBC will seek to be as representative as possible of the public at large, gleaning the full range of opinions that various people are typically expressing on a particular topic. 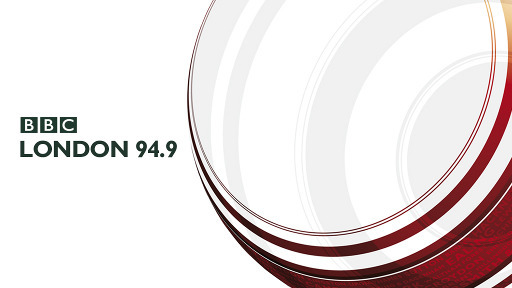 But, having listened to three of BBC London Radio’s recent phone-in broadcasts on cycling, and having participated in one of them, I still found it depressing to hear so many total ignoramuses phoning in to air their agenda-stealing, clichéd nonsense-views on air. Indeed, by the end of Boris Johnson’s appearance on Vanessa Feltz’s 9am phone-in show this morning, I was thoroughly annoyed. I had been up since 6am, expecting an ‘early’ call from the BBC to inform me of my required whereabouts at 8.45am for an interview on the breakfast show. The night before I had appeared on the drivetime show and been interviewed, sympathetically in fact, by Eddie Nestor. We talked briefly about the London Cycle Map. After this interview I received a call informing me that I would be needed the next day, with details to follow in the morning. As it turns out, I received a call at 8.50 this morning informing me that there was no time left for me to speak on the breakfast show (although, mercifully, Cycle Lifestyle's assistant editor Rebecca herself had managed to phone in and was, right at the end, given the opportunity to speak very briefly, but brilliantly, about cycling on backstreets in the capital). Undeterred, I immediately dialled the phone-in number for the subsequent Vanessa Feltz show, and was told to expect a call during the show from the studio – the call never came. What all three shows did feature, mostly, was a torrent of antagonistic, ill-informed tirades from HGV drivers and cabbies moaning about cyclists, and cyclists moaning about HGV drivers and cabbies. It was like the opposite of a peace process, if not quite an all-out war. Call me pompous if you will, but when I phoned in this morning I made it clear to the producer (or whoever I spoke to) that I am editor of a cycling magazine and have been running a cycling-related campaign for nearly four years, and am generally a well-informed chap with some well-thought out, moderate and pragmatic ideas for reducing the levels of conflict between drivers and cyclists in the capital. Evidently this counted for little – not even the most benevolent sort of elitism, where the people who get the most ‘represented’ in public broadcasts are the people who have made the most effort to render their views worthy of representation, is acceptable in our demotic times. So I sat and listened to the angry froth that is inevitably thrown up when cyclists, trucks, vans and cabbies all try to share the same major roads and junctions, and I began to despair, to the point where only writing a blog would make me feel better. To be fair to Boris, I thought he was generally excellent. He strikes me as a man who says what he thinks, and mostly what he says is sensible and inspiring. Which makes it all the more frustrating that his Cycle Superhighways are such a bad idea. Perhaps he was badly informed by the many cycle campaign groups who are currently seeking an ideological confrontation with capitalism. Whatever the reason, it is perverse to try, as a rule, to crowbar cycling facilities onto the main roads of a huge metropolis such as London, one that simply cannot function properly without those conveyance routes. You wouldn’t try to put a cycle lane along the M1, or the East Coast mainline, or an airport runway, so why has Boris’s cycling revolution picked an unwinnable fight with the capital’s major freight arteries? If he wants to get cyclists directly and simply from A to B, then all Boris has to do is provide a decent map and easy-to-follow signage for the generally quieter and safer routes comprising the London Cycle Network. Simon Parker’s London Cycle Map shows how the network could be organised as a series of long, straight coloured routes enabling cyclists to get from anywhere to anywhere in the capital by following just a few of those routes, just like on the Tube. I would have explained this on the BBC this morning, something which would surely have been in the public’s interest. But the public, apparently, would not have been interested. I was interviewed briefly on BBC London radio this evening on the subject of the London Cycle Map. The presenter Eddie Nestor asked some pertinent questions and seemed genuinely enthused by the idea. Thanks Eddie! The interview can be heard here (1:23.43).